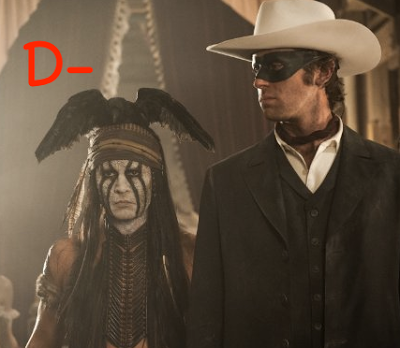 In The Lone Ranger, Native American warrior “Tonto” (Johnny Depp) recounts the untold tale of “John Reid / aka ‘The Lone Ranger’” (Armie Hammer), the resolute law man-turned-legendary force for justice and truth. But Gore Verbinski’s movie is almost more about Tonto than it is the Lone Ranger, and that is barely the least of its problems (and one that I would welcome if nothing else were wrong). It is 1933 when we meet young “Will” (Mason Elston Cook) who is at a circus where he meets an aged Tonto portrayed in an exhibit titled “The Noble Savage.” We are then taken back via the recounting of the story to 1869 to the railroad expansion into Comanche territory. We meet the Ranger himself as an ambitious and naïve lawman fresh out of school who travels to work with his brother in the acquisition of “Butch Cavendish” (William Fichtner), a needlessly bizarre, heart-eating, cannibalistic (why??) bad guy who works under an even bigger, but much more sophisticated bad guy (Tom Wilkinson)—a guy you can just about immediately spot on screen as the brains behind the brawn of all evil. We were supposed to revere the Ranger from his being absent in the real-time of the movie narrative, but what flat-out ruins this one is its humor that serves as a constant and abiding barrage of insults to the intelligence of any audience. The goofy comedy is most unwelcome for including things like horses eating scorpions and even cheap “poop” comedy that is, to say the least, out of place. And the dumb facial expressions and badly conceived slapstick are, in some ways, even worse than the belated focus on all such silly antics for long stretches at a time. The story itself is very well put-together, but it never excites us because it takes till the end to see anything we even remotely want to see, and never comes close to the Lone Ranger that we remember from the 1956 film or the old TV show. With the pacing itself serving to kill what little appeal it had, the movie feels as long as it very often does repulsive. With all of its beautiful and immaculate scenery, it is still difficult to break this down further simply because so much was botched in the vision behind it. But suffice it to say, it is hard to ruin a movie this badly with such a large budget, with the finished product bearing little resemblance to the very dramatic and thrilling trailer. 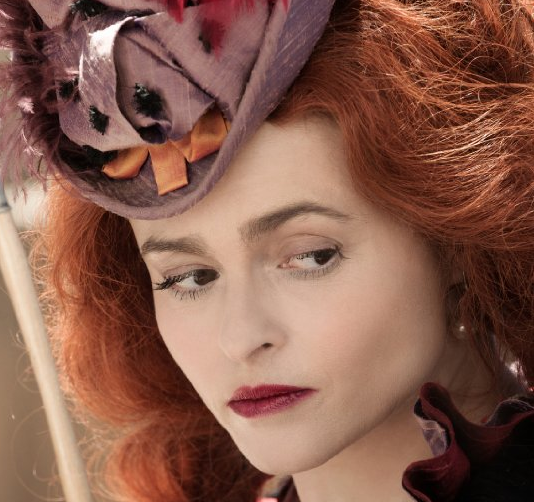 Most regrettably, The Lone Ranger was an epic disappointment.